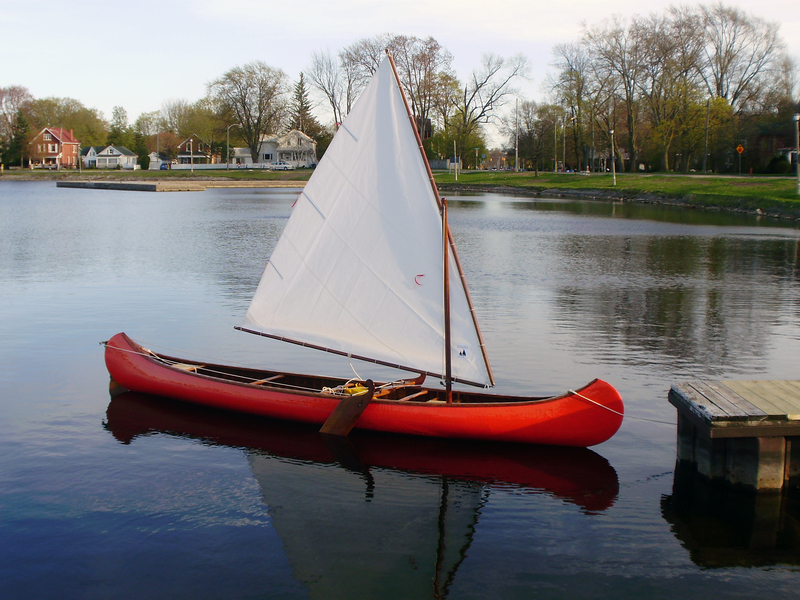 “Clementine,” a 1937 17′ Old Town “HW” model, with complete OEM sailing rig (currently being re-canvassed and re-varnished). “Tibbet,” a 1930s(?) 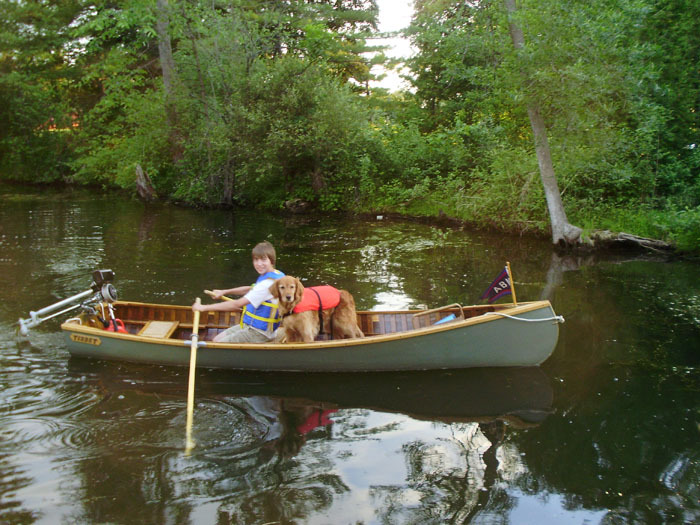 canoe-built wood-canvas skiff, builder unknown, with a 1970s British Seagull 2 1/2 horsepower outboard. Sold to a new owner in 2014. 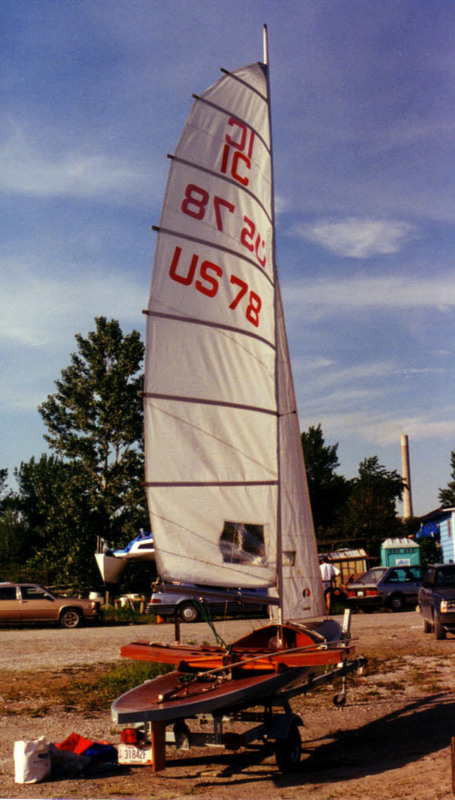 “Tigger,” IC US 151/CAN 33, a King Ferry Canoe Company International 10 Square Metre Canoe (here wearing a borrowed main, never mind the sail number). Sold to a new owner in 2015. 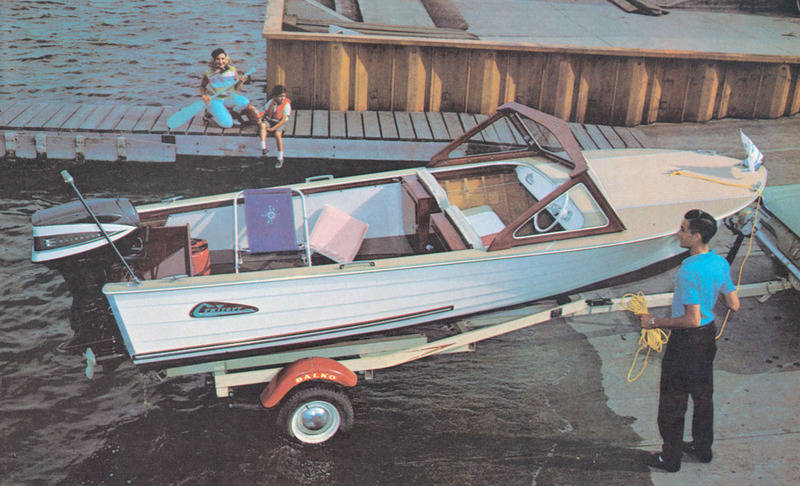 “Endless Summers,” a 1963 lapstrake plywood 16′ Grew Seafarer 202 (in storage awaiting a lottery win that will let the owner purchase a new 4-stroke outboard).Sold to a new owner in 2016. “Pip,” a late 1880s(?) 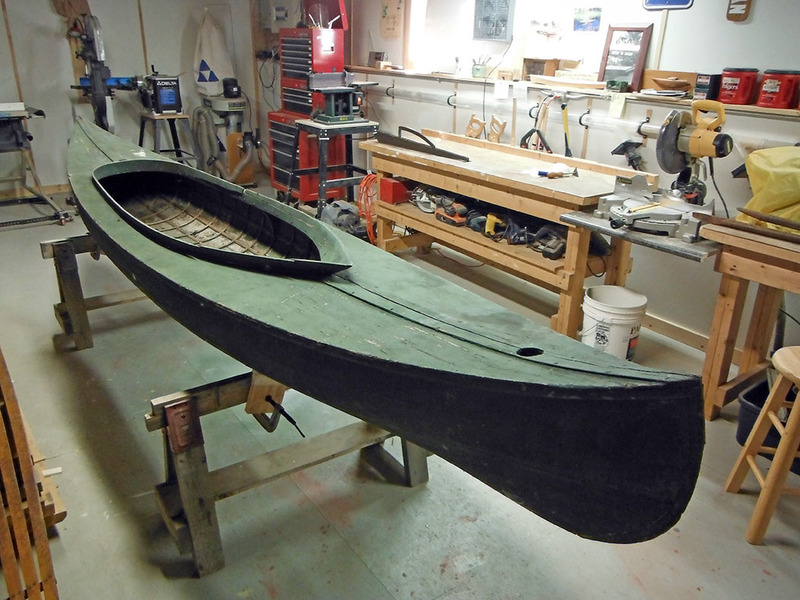 Ontario Canoe Company Model 200 decked sailing canoe (under restoration). Sorry to be so long in replying to this comment, have been busy working on the basement renos, including the workshop. Hope to start working on Pip and posting again soon, almost finished this lengthy renovation project. Hello authenticboats! I have a question about Celementine. How is her mast held in place? I have a 1910 Old Town 17′ Charles River that has a mast step in the bow (apparently it did not ship with it from the factory), and I’d like to understand what standing rigging is necessary to keep things in place. It’s about 2″ in diameter and 2″ deep. Were I to stand a mast in it, it wouldn’t come into contact with any other part of the boat without additional hardware.